WONDERCHEF’s Gas Oven Tandoor is a unique combination of Oven & Tandoor that works on your normal Gas Stove at your own home. Make grilled and tandoori veg. or non-veg. Kababs, Tikkas and Roasts. Tandoori Rotis, Naans and Parathas. Also you can cook cakes and bakes on your gas! Just an incredible range of cooking is now possible with this dream appliance everyone loves to have in their kitchen. 1. 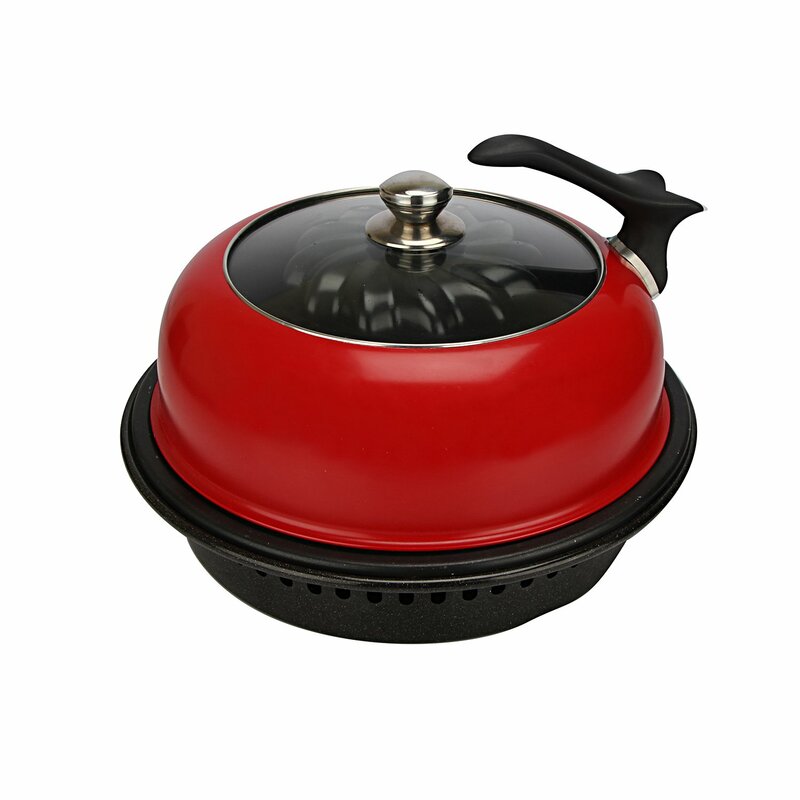 360 Degree Heating: Convection method of cooking where food is cooked by the hot air rotating inside. This saves time, and the food gets cooked from all directions – crisp coating with juicy interiors. 2. Professional Cooking: G.O.T. enables you to become a professional chef in a jiffy. Things which could be cooked in a traditional Clay Oven, can now be cooked on your own gas stove. 3. Prevents odour, smoke & splashing oil: The G.O.T. is designed to remove fat and grease immediately as it forms which prevents the odour and smoke, and giving you healthy meals and healthy family. To Recieve updates and possible rewards for Wonderchef Gas Oven Tandoor please sign in. To Recieve updates and possible rewards for Air Fryer and Tandoor please sign in.